It is not a particularly fashionable variety around the world but it produces outstanding wines in Australia and magnificent Sauternes in its Bordeaux homeland. 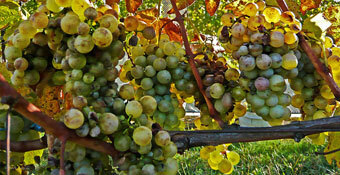 Semillon can produce on the one hand distinctive, long­lived dry white wines and on the other rich, golden, honeyed dessert wines of incomparable quality when affected by noble rot, to which it is prone in the right conditions. Like Chardonnay it is a versatile variety that can cope well with oak fermentation and oak maturation. Worth checking. Varietal characteristics: Various dependent on style; can range from lemon, lime or spice notes to caramel, honey and vanilla.